Piano Opening Hours: Daily 9am to 5pm. 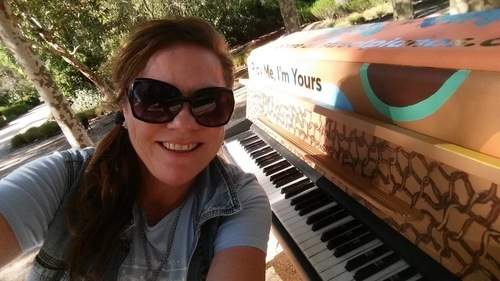 Piano donated by ABC and decorated by MacKillop Family Services. Hosted by Royal Botanic Gardens Victoria. Our family has always enjoyed visiting the cranbourne botanical gardens. 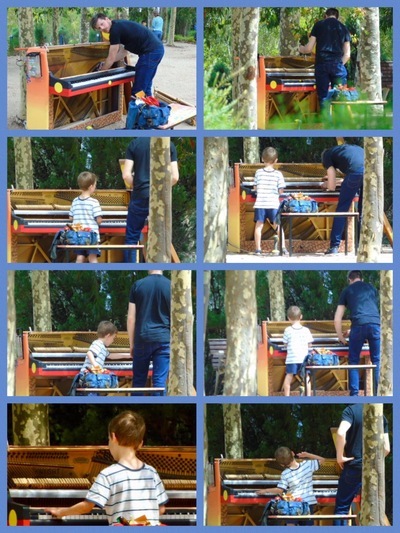 Today it was even more special discovering one of the streetplay pianos. My daughter loved trying her piano pieces on it and so did I. Such a surreal experience playing amidst nature with the rustling of leaves and the gentle breeze sweeping by. Thank you for this oppotunity and we certainly look forward to next summer when it’s back! 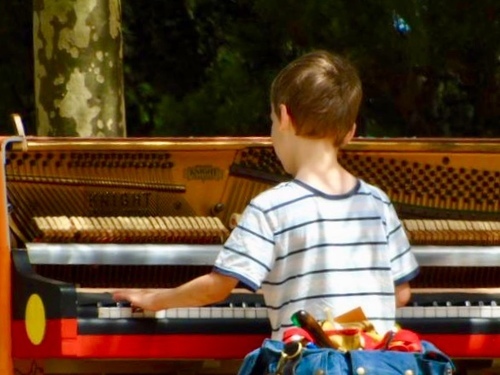 This little boy treated the piano with respect and played various notes thoughtfully. Whilst Evan had a lengthy repair this little boy waited patiently but finally could not hold back any longer. Impromptu, improvised, unrehearsed piano trio with an unknown fellow musician ... now a new found friend. Music *does* bring our community together ... case-in-point here. 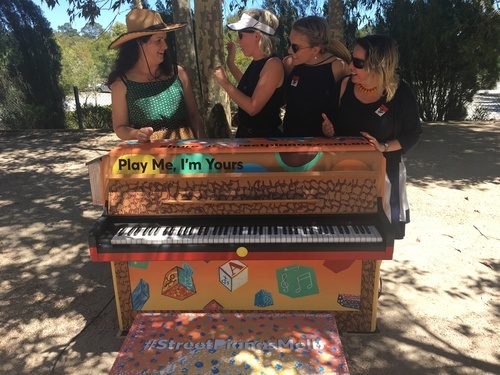 Thank you to everyone associated with 'Play Me I'm Yours'. 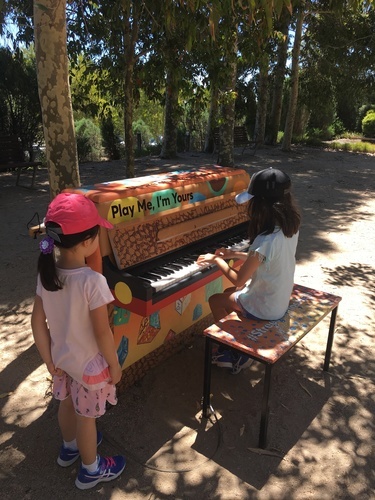 The Australian Garden at Cranbourne RBG is already a favourite place of mine so how wonderful to have a piano placed amongst the gumtrees. My fairly basic and rusty piano playing skills were put to the test this morning with ‘Inch Worm’ and a selection of songs from ‘Oliver’. MacKillop Family Services seeks for all children, young people and families to be safe, thriving and connected to culture and community.